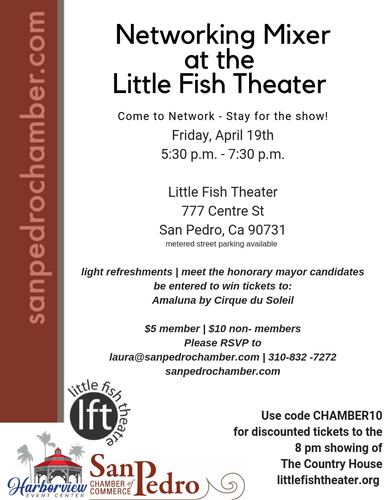 To those interested in networking, come to network but stay for the show! Those interested in participating may purchase tickets at the Chamber of Commerce website. This event provides light refreshments. You will have the chance to meet the honorary mayor candidates. By participating, you enter for a chance to win tickets to the Cirque du Soleil extravaganza at the Waterfront, Amaluna (Show dates are from April 22 to May 22).